Muscat is the capital of the Sultanate of Oman in the Arabian Peninsula and my first ever experience of a homestay abroad. Some 8 hours away from London via Oman Air, I share my experience of visiting Muscat in Oman for the first time in an Omani homestay exchange. I will also share the best things to do here in Muscat while visiting. I set off from London Heathrow to Muscat in Oman to see how life was in the Middle East. 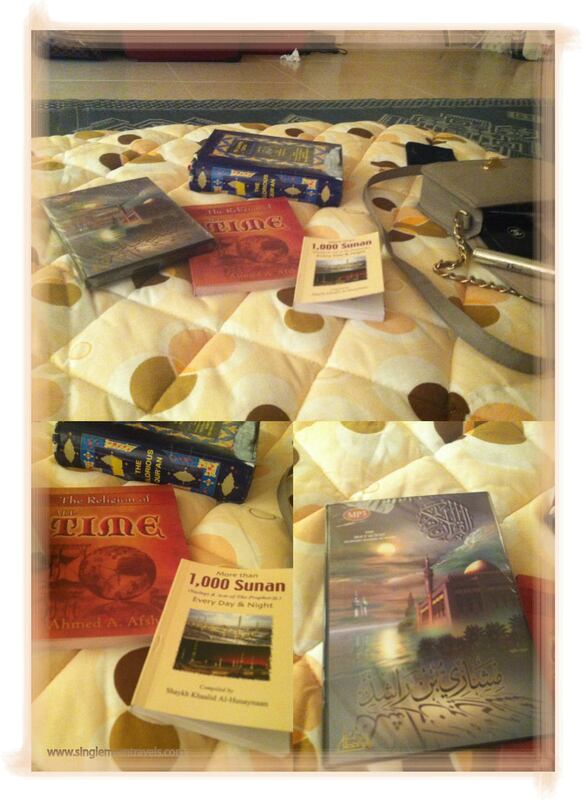 New climate, new culture and religion and not forgetting my new family I would spending a week with. I was very excited to take this once in a lifetime opportunity to explore Muscat in Oman with an Omani family. Oman is a very safe country, away from a lot of the ongoing conflict in the Middle East, the Omani people are extremely warm and welcoming, no matter where you’re from the Omani people will appreciate you and the country you come from. They are peace makers and will go out of their way to help others. It made a perfect destination for our first homestay abroad. I flew to Muscat with Oman Airways, I found the airline and staff really professional, they were kind and even assisted me with my son who was 4 years old at the time. The in-flight meals were lovely and really filling, I never went hungry during the 8 hour flight from London. Landing in Muscat was a breeze, if you travel with kids you will find the staff putting you at the front of the queues and bringing you a terminal pushchair if your kids are young enough to require one. I brought our Visas at Passport Control once I landed, I paid about 10 Rials for a 10 day tourist visas. As we are British Citizens we were fortunate to buy our Visa upon arrival in Muscat which made things really easy. Top left: Sultan’s ship docked in Muscat. Top right: Omani flags on sale in the market. Bottom left: Walking through the market was really fun, so many things to see. Bottom right: View from the royal Muscat dock. Our new family were so lovely, we couldn’t have asked for a more loving and kind family to meet and greet us at the airport, we had such a delightful trip around Muscat with them. We ate delicious food and tried many new dishes, we had fun playing with their children, eating out and visiting the best beaches in Oman. Oman is heaven for kids, there is just so much space, everywhere! The houses and apartments are so large, the parks are big with lots of climbing frames and water fountains. Parks are well maintained, very green and lush considering Oman is a desert. The air-conditioned shopping malls are spacious as well as the restaurants with private family and female areas which was just amazing to experience, I felt like a Queen. There are so many arcades with loads of kids rides including ride on water rides and air hockey. Places were not really busy as everything is so spaced apart If you want to get away from crowds of people and just have some space, Muscat is a great place to visit for a holiday. Being in a really family orientated environment is a relief, everyone has children, everyone loves children! Kids are seen laughing and playing all over Muscat in Oman. 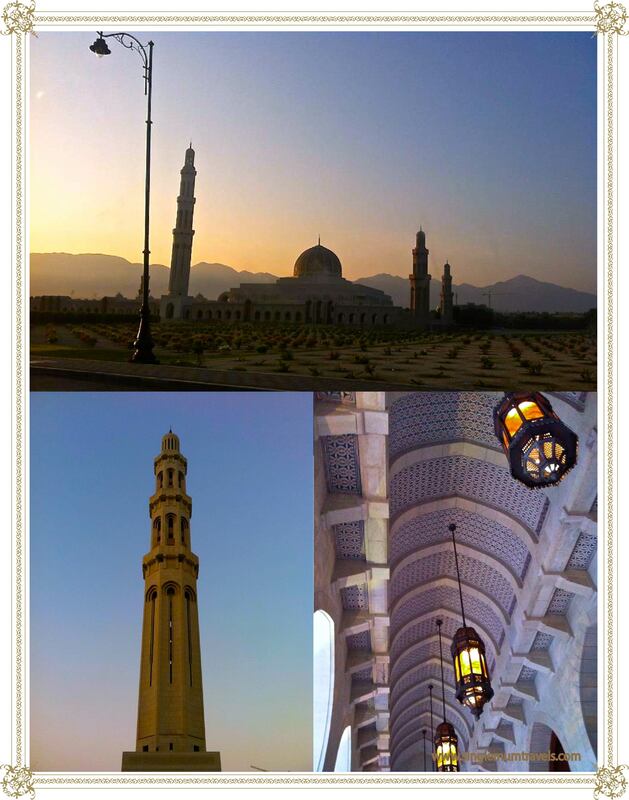 These images show the Grand Masjid in Muscat, I spent so much time wandering around the Masjid, it was so peaceful and clean, the architecture was stunning, there was Arabic text carved into the stone all over the Masjid. Sultan Qaboos Grand Mosque – The Grand Mosque was my all time favourite place to spend time in Muscat, it’s so beautiful and peaceful. I loved to wander round the gardens and discover amazing passages of the Quran and intricate carvings on large wooden doors at the entrance of the prayer halls. Sultan Qaboos Grand Mosque even has a cultural information centre catering to tourists and those interested in learning more about Islam and Omani culture, if visiting you must drop by and experience the hospitality for yourself! Port Sultan Qaboos – Oman’s Premier Maritime Gateway, Port Sultan Qaboos, the cruise ship is just opposite the Souk, and is quite an entertainer for kids to see, we also enjoyed the cool breeze that the ocean gave us, it was a nice break from the humidity and heat for a while. It was nice to walk along side the promenade, there are plenty of seagulls about to feed. Royal Opera House Muscat – This is the prime location for musical arts and culture. Tourists can book tickets to see shows and even arrange tours of the Royal Opera House. Built on the royal orders of Sultan Qaboos of Oman, the Royal Opera House reflects unique contemporary Omani architecture. Rug shops, perfume, shisha, textiles all situated under timber wooden roofs and beams. There were so many things to buy in the markets all over Muscat, rugs, frankincense, clothings, nuts, fruits and spices, candles and traditional Omani pots and kettles for making Omani tea! Old Muttra Souk – The Souk is located right in the center of the Corniche in the old town, right by Sultan Qaboos port. We visited the Old Muttrah Souq, it’s not to be missed, a traditional Arab market with the smell of Frankincense which fills the air, there are many textile shops selling rolls of fabrics and small components such as buttons, zips and colourful sequins. There is a maze of shops selling perfume, toys, spices, antiques, pashminas, jewellery and many souvenir shops. The Old Muttrah Souq is somewhat outside but much is covered and shaded between alleyways and small paths. Wandering around the narrow alleyways of enchanted shops is delightful and really awakens your senses, I felt worlds away from home seeing completely new things around every corner. Josh loved the sights and new experiences. Qurum Beach – Fun at Qurum beach. Qurum Beach access is possible from several beachside hotels. This beach is popular with families, walkers and joggers. Qantab is another beach local fishermen will offer fishing excursions and boat rides from. The sand is beautiful and makes a great location for kids to play and swim. There are many pretty Masjid’s and minarets dotted all over the place, it feels like there is lots of peace in Muscat. The landscape of Oman is really something that makes it quite amazing, there are many hills and mountains to be in awe at, the higher you go the more stunning the landscapes becomes, the highways along the coast of Muscat are decorated with flowers and neatly trimmed grass, the roads are being heavily invested in so there are lots of news roads and bridges being built. During our stay in Muscat we also travelled to Bidiyah and Nizwa but above everything else we got to experience the Omani way of life. It was mid November and it was still quite hot, usually between the months of March – September is the peak time, I felt so lethargic at times, I honestly don’t know how they do it, especially during Ramadan! I found myself sleeping in the car all the time, the sun really got to me during the day. The evenings were bliss, this is why so many families can be found out in the parks having picnics at 11pm! In conclusion Oman is a seriously beautiful and very clean country with good, loving people, well maintained roads and green spaces, Oman is also home to the worlds oldest natural harbour where you can see Sultan Qaboos Royal Ship, excellent universities and amazing Masjids especially the Grand Mosque of Muscat which we often visited; we met many wonderful sisters there and tourists who shared their views of Islam, they came to the Cultural Centre where they can obtain information and books on Islam plus delicious Omani tea and juicy dates. The beaches in Oman are truley wonderful and on my next trip I hope to visit some of Oman’s top beaches – See here! The Grand Mosque of Muscat. Prayer The Adhan starts just before sunrise, the call of prayer is heard from all over; masjidds are close enough you can her it no matter which direction you go in. The men go to masjid to pray and the women have the choice to go along too or stay at home. The first adhan of the day is for Fajr prayer, the dawn prayer before the sun rises. After this the men go out to work, many go out into the oil fields and work in the engineering industry. The men will return home to their wives and children at lunch time when they have a few hours break in the afternoon, like a Spanish siesta. The men will later go back to work and return again a final time in the early evening. The historic Shiite district of Al-Lawataya, the settlement is walled for a good purpose. A sign under the archway requests that visitors keep out. We passed this on the way to the Souq, it’s on the right side just before it. I had a really laid-back time in Muscat with Joshua, we would visit other sisters from the UK who got married to Omani’s and moved abroad, whole English families moved to Oman, they love the life there and would’t change it for the world. We went to a town called Adhahir, Bidiyah. Joshua played with the local children in the playground while us women were talking about life, fasting and well… Star Wars. In conclusion Oman is a seriously beautiful and very clean country with good, loving people, well maintained roads and green spaces. Oman is also home to the worlds oldest natural harbour where you can see Sultan Qaboos Royal Ship, excellent universities and amazing Masjids especially the Grand Mosque of Muscat which we often visited; we met many wonderful sisters there and tourists who shared their views of Islam, they came to the Cultural Centre where they can obtain information and books on Islam plus delicious Omani tea and juicy dates. Don’t forget about Oman’s top beaches. Follow Our Facebook Page HERE! What is a Bucket List? My name is Tina-Louise and I am the founder and author of Single Mum Travels. I’m a proud single mother working my way around the world travelling with my son Josh and daughter Rosa. © Singlemumtravels 2018. Unauthorised use and/or duplication of this material without express and written permission from this blog's author is strictly prohibited. Excerpts, images and links may be used, provided that full and clear credit is given to Singlemumtravels with appropriate and specific direction to the original contents.